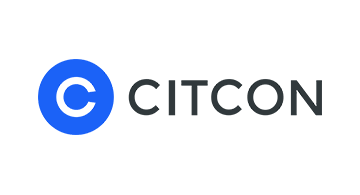 Silicon Valley-based Citcon is the mobile payment and commerce leader for merchants to reach and engage with over 1B Chinese consumers by accepting the fast-growing QR-based mobile wallets at global scale, featuring Alipay, WeChat Pay and China UnionPay, the most widely used mobile payment and social media platforms. Citcon is blazing a trail as the seamless and secure China-ready payment option beyond Visa, MasterCard, Discover and American Express. Citcon’s comprehensive and fully integrated enterprise solutions empower merchants to optimize growth online and offline. In addition to payments, Citcon also offers merchants the capability to expand consumer reach, increase engagement, gain in-depth consumer behavior insights, run targeting / marketing campaigns, as well as mange offer and loyalty programs. With over 5,000 existing clients / 10,000 locations under our belt, we've also built a network that connects with 2.5M top brands across Retail, Hospitality (Hotel, Attraction, Transportation, Entertainment), and eCommerce segments in the US, Canada and Europe. Our clients include Kering Group, Simon Property Group, Beverly Center, Mall of America, Caesars Entertainment Group, Mandarin Oriental Hotel, DFS Group, Duty Free Americas, International Shoppes among others.